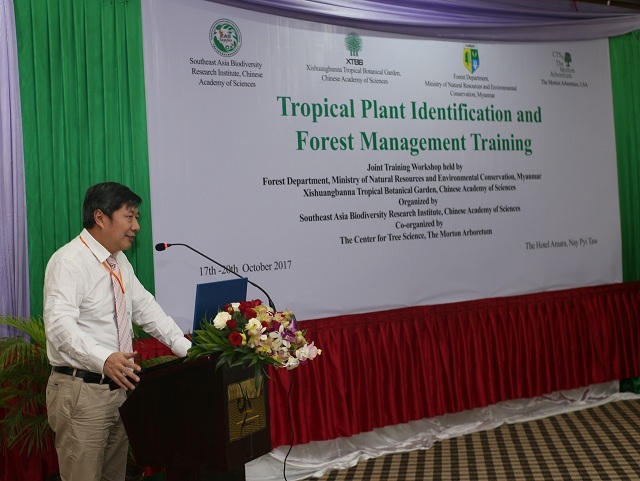 Tropical Plant Identification and Forest Management Training opened in Naypyitaw, Myanmar on October 17. 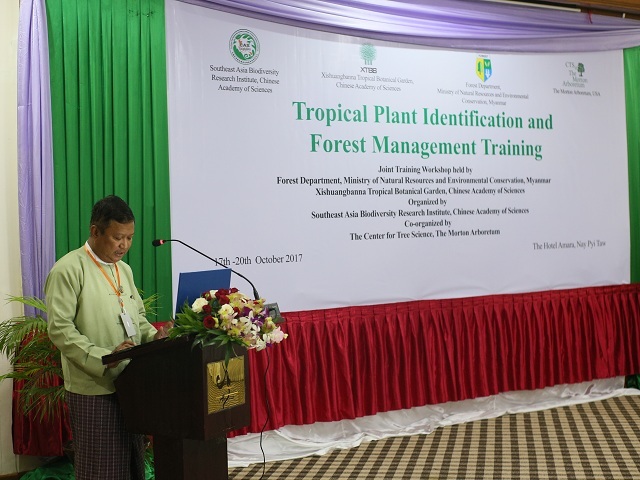 Tropical Plant Identification and Forest Management Training opened in Naypyitaw, Myanmar on October 17. 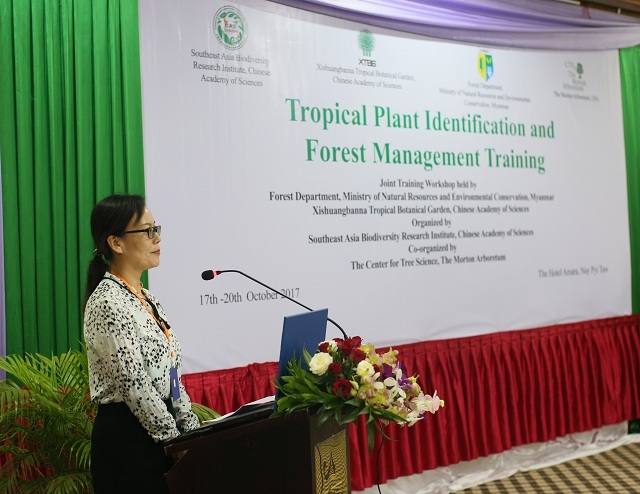 The course was developed by the Southeast Asia Biodiversity Research Institute (SEABRI) of the Chinese Academy of Sciences (CAS), in conjunction with Forest Department of Myanmar. 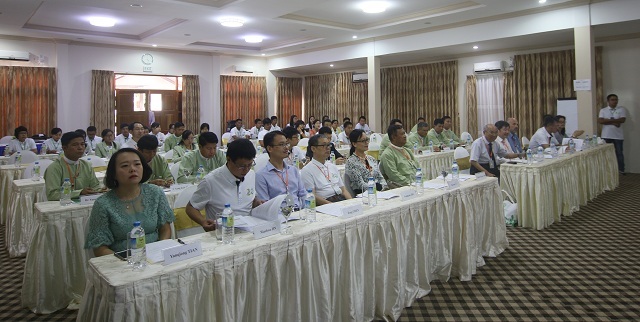 According to Prof. Chen Jin, director of SEABRI and Xishuangbanna Tropical Botanical Garden (XTBG), the plant identification course is aimed to improve capacity building of young plant researchers in Myanmar. The course, by the very fact the a lot of new plant species have been discovered in Myanmar after China–Myanmar joint field expeditions since 2014, is applicable to the locals where the training is offered. SEABRI is pleased to have excellent plant taxonomists from China, Myanmar and USA offering courses to identify plants found in Myanmar. CAS academician Hong Deyuan, Prof. Chuck Cannon from the Morton Arboretum, and other plant taxonomists are lecturers for the course. The course brought together 21 young plant researchers across Myanmar to have intensive training. It lasts from October 17 – 21. Participants will be presented with general plant identification principles and diagnostic field characteristics to enable ready distinction between species with very similar appearances. They will also have field investigations and self-study. Ms. Li Xiaoyan, representative of Chinese Embassy in Myanmar, was also present at the opening ceremony. She wished the training a complete success. 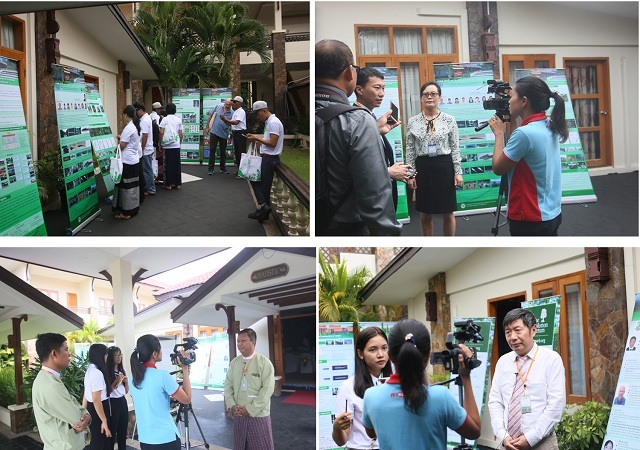 Afterwards, local Medias interviewed Kyaw Kyaw Lwin. Chen Jin and Li Xiaoyan.